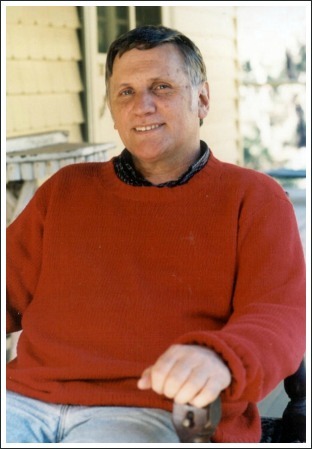 Tomorrow When The War Began is the first in a brilliant series of books for teens and young adults written by Australian author John Marsden (that's him in the photo). I first read the Tomorrow series as an adult and was thrilled when my sons loved them as 13-year-olds. The books are well-written, based on an unusual premise and full of suspense and excitement. They seem to appeal equally to girls and boys and I highly recommend them for teens aged from about 14 right up to adults. My mother loves adventure stories and read them in her sixties, telling me she wished there were books like these when she was young. There are seven books in total in the Tomorrow series plus a further three books collectively known as The Ellie Chronicles. These last three books tell the story of what happens after the war and are also well worth reading. 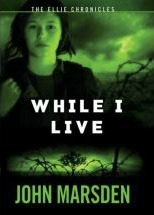 Tomorrow When the War Began starts with Ellie and her friends spending a week camping in the bush - a group of teenagers enjoying the school holidays. When they return to town, they find their homes deserted and their animals dead or dying. Gradually they discover that the country has been taken over by foreign invaders and they retreat back into the bush to work out what to do. Do they surrender or fight? Their world has changed forever and their lives will never be the same. Tomorrow, When the War Began is told in the first person from the point of view of Ellie Linton who lives in the fictional town of Wirrawee in country Victoria in Australia. It was made into a film of the same name which was released in 2010 but only - strangely - in Australia and New Zealand. In the face of an enemy, do you fight to defend yourself? The seven books in the Tomorrow series are pictured below. Below them you'll see three additional books which are collectively titled The Ellie Chronicles. These books follow on from the Tomorrow books and tell the story of what happens after the war.